When you are in the market for and researching auto insurance rates, it is so easy to go for cheap coverage or a high deductible when both are among the biggest factors affecting your premiums. What you may not realize is that you could be getting more comprehensive coverage and a better overall value by minimizing certain risk factors. 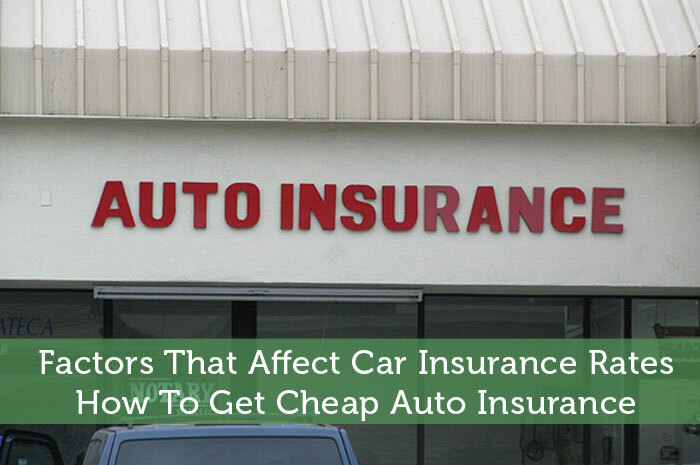 Learn how a car insurance company calculates rates and present yourself as a low-risk policyholder to get the cheapest car insurance quotes. In short, statistics show correlations between insurance rates and your gender, age, driving history, car make and model, address, marital status, mileage driven, and even credit score. Here is how each factor affects your premiums and the things you should know to find yourself the best car insurance. 1. Gender and Age. Statistics show that teenage boys or young men generally have more accidents and citations than their female counterparts. On the flip side, older men get slightly better rates than older women since historical data demonstrates older females experience more minor accidents as they age. 2. Marital Status. Generally, married couples are more responsible and family-oriented than single individuals. Therefore, in the eyes of car insurance companies, a newly married couple with a clean driving record may see their premiums reduced by 50%. 3. Where You Live. Evidence shows that traffic accidents usually happen near the home, so traffic and accident statistics where you live influence your rates. Metropolitan areas have a higher population, which means there are more vehicles on the road, leaving you more vulnerable to theft or accidents with injuries. If you live in an expensive neighborhood and have an accident that requires repairs, it’s more likely that your costs will be higher. If you live in a dangerous neighborhood, you might be at higher risk of theft. Statistics also conclude that metropolitan areas are also more likely to be home to drivers who cannot afford car insurance. All of these factors weigh heavy on insurance companies. 4. Credit History and Score. Your credit history affects your credit score, and if you are listed as having poor credit, you will pay higher rates. There are no publicly available figures on how specific scores affect premiums other than the fact that good credit means lower rates. 5. Where You Work. Jobs that require a lot of driving – delivery drivers, sales representatives, journalists, marketing associates – put individuals at a higher risk for accidents. On the flip side, professions who are seen as more careful than the average drivers, like police officers, paramedics, firefighters, doctors, and nuns, are more likely to get better deals. As most of us know, the type of car you drive can impact your cost of insurance since certain cars are popular targets of thieves, aren’t safe, or expensive to fix/replace. 1. Safety Rating. A car with a lot of safety features, like driver and passenger airbags, can keep you from hurting yourself in an accident. Vehicles with high auto safety ratings get you cheap rates. Smaller cars, such as coupes or sedans, are not as safe as larger cars, such as SUVs, trucks and minivans, so they don’t have as high a safety rating, according to carriers. 2. Engine Size. Automobiles with large engines, like sports cars, are more expensive to insure because they are made to be driven fast and aggressively, resulting in a greater likelihood of a collision. 3. Vehicle Age. Collision coverage rates for newer cars are higher than for older ones, meaning the premium for a newer car is also going to be higher. If you have an older car, you shouldn’t own collision coverage since you’ll likely need to purchase another car anyways should you get into an accident. 4. Rate of Theft. Every year, there is a top 10 list of the most popular stolen cars, and if your automobile’s model is on that list, your rates will probably slightly increase next year; however, anti-theft features like Lo-Jack can lower your premium. All of these factors are taken into account when determining how much your car insurance will be, but the thing that insurance agencies look at first and foremost is your driving record. 1. Personal Driving History. How many accidents and moving violations you’ve had in the past couple years of your life affect the rates charged by even the best car insurance companies known for offering cheap coverage. If you have a good, clean driving record, expect to be able to get the cheapest rates because you are the best type of customer a carrier can have. On the other hand, the good news on bad driving records is that marks against you don’t stay on your record forever. If you receive a speeding ticket and haven’t taken traffic school in the past 18 months, you can sign-up and prevent the blemish from going on your record. Unfortunately, a DUI stays on your record for 10 years, and your premiums will skyrocket. Remember, don’t drink and drive. Beyond the possibility of killing yourself or another driver, it will cost you about $10,000. 2. How Much You Drive. Again, the more you drive, the greater your odds of having an accident. Drivers who commute long distances to work put themselves behind the wheel more often than most and for longer periods of time, and thus are more at-risk of experiencing an auto accident. Alternately, if you don’t drive very much or often, you qualify for a “Low-Mileage” discount. 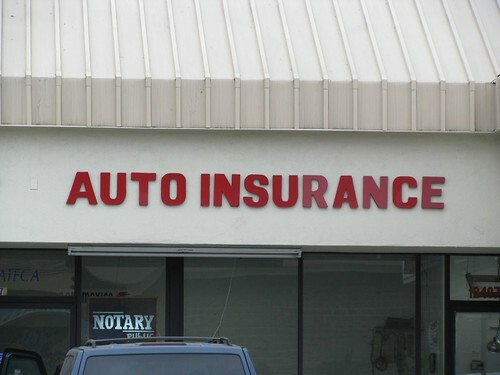 If you own a car, you must have automobile insurance by law. Since coverage is mandatory, it’s in your best interest to keep your rates low and save money in the process. Keep these factors in mind when you are shopping around and comparing rates. A good driver discount – which you get if you have a clean driving record – is probably the easiest way to keep the cost of your policy to a minimum, but don’t forget about all the other factors as well. Author Bio: Gary is a financial expert who started MyCarInsurance123 to help consumers navigate the challenges of finding affordable car insurance coverage. His articles will teach you about the different types of car insurance coverage, how to compare policies, companies, and premiums. I got a break on my insurance by calling and updating my annual mileage. Turns out I drive less than I thought I did. Saved me a few bucks a month. Great to hear, Mike. Every little bit helps, especially in the long-term considering most people will have car insurance for 50-60 years of their lives. This is fascinating. I figured my driving history probably affected my car insurance rates, but I had no idea that my job and marital status could affect it. I feel so profiled!! It is amazing the correlation between so many different factors. And these are the factors that we know about and insurance companies have released. Who knows what other information they have access to since market research firms/internet companies now track every bit of information about us. On the last point, you’d think that less frequent drivers are less-seasoned, making them more vulnerable to making a mistake that leads to an accident… hmm…. I don’t think these variables are calculated singularly. I would assume it is a multi-variable calculation/regression based on a series of factors. Obviously a 35 year old with 15 years driving experience commuting 10 miles a day would be deemed less risky than a 25 year old with 5 years driving 5 miles a day, but the 35 year old should also be getting a lower rate than his exact same demographic counterpart (35 year old with 15 years driving experience) who is commuting 50 miles each work day. I also find that in Australia, if the car is fully imported through the Special Enthusiast Vehicle Scheme (e.g. Nissan Skylines, 180SXs, Silvias and Nissan Cubes), insurers add a huge premium to the insurance. Where you live is a MASSIVE factor. A couple of years ago I moved to the suburbs and my comprehensive insurance halved! Shopping around for online savings with insurance is a great way to save money. Just remember, if you want to become a millionaire – invest the savings! I can attest to the marriage discount. I don’t have any accidents on my record and was recently married. When we updated our insurance policies to reflect this, my premium dropped 40%! First, congratulations! Second, wow, that is pretty huge and more than I would have expected. Does having children affect your insurance rates? I have heard this before, but no one seems to know! Very good to know what actually effects your insurance rates. Different companies probably put more emphasis on different factors because I have gotten some widely varying quotes at times.